Explore the numerous day-trip ideas around Porvoo: Kotka (Sapokka Water Garden & Langinkoski Imperial Fishing Lodge Museum) and Espoo (Nuuksio National Park & Serena Water Park). Next up on the itinerary: make a trip to Porvoo Old Town and admire the landmark architecture of Cathedral of Porvoo. 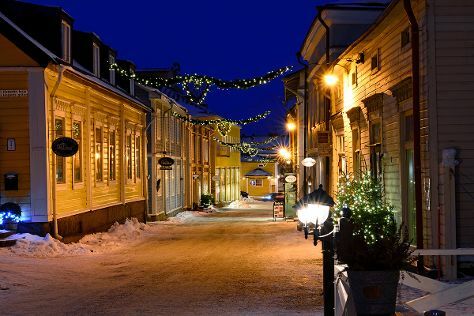 To see ratings, traveler tips, more things to do, and more tourist information, you can read our Porvoo travel planner. In December, plan for daily highs up to 1°C, and evening lows to -4°C. Finish your sightseeing early on the 25th (Tue) to allow enough time to travel back home.